Principle objective of this Lecture is to presentation on Consumer Behavior. 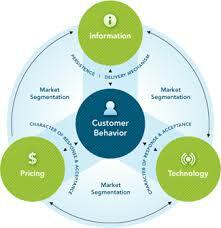 Here major focus on consumer purchase decision process. Consumer behavior is the actions a person consumes purchasing and using services and products, including the mental in addition to social processes that precede in addition to follow these actions. The stages a buyer passes through in making choices about which services and products to buy is this purchase decision process. Here also discuss on Motivation, Personality, Self-Concept, Perception, Attitude, Beliefs in terms of Consumer Behavior. Finally explain on Consumer Socialization, Social Class and Subcultures.